well having owned this phone for a few weeks, i give an honest opinion. 1. very good full hd video recording. 2. camera lacks colour and vibrancy. 3. quick on the internet. even on 3G. overall a good phone. now if the ICS software update sorts out the niggles we will have a awesome phone. as it is, its a very good phone. Maybe orange could go to samsung,lg, next time hardware. just for that bit better quality. gade, 12 Jul 2012I bought this phone last week, and this is the fastest phone I have ever worked with. Near 30... moreDoes final fantasy 3 in the app store work with this? I bought this phone last week, and this is the fastest phone I have ever worked with. Near 300ppi density, super fast browsing, heavy internet pages opening in a sec, etc. 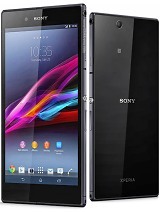 It'll be the best phone ever, in price/features ratio when it gets ICS/JB upgrade. AnonD-62415, 09 Jul 2012Im planing to buy Orange San Diego phone and i want to know, is 200 pounds fair price for what... moreIt is undoubtedly the best bargain considering the performance and the feature set you get with it. Though I dont own the phone yet, had opportunity to try out friend's phone overnight and loved it. Goin to get it. Im planing to buy Orange San Diego phone and i want to know, is 200 pounds fair price for what you get in this phone. Can some owner of phone write me, is phone worth of price. AnonD-60940, 28 Jun 2012Where I can get it unlocked?No unlocking at the moment. Orange will unlock it (for a fee) once you have owned it for three months. The bootloader is also locked so proving difficult to hack for custom roms so far, but some are trying. Don't buy if rooting and custom roms are what you want as it may or may not happen. Having said that it's a powerhouse of a phone for £200. Master DJ, 18 Jun 2012I should like to know if it have DLNA,Radio with RDS,Wi-Fi direct,anda if it have in box HDMI ... moreNo radio built in I am afraid. The phone does support WIFI hotspot tethering but not DLNA out of the box, however DLNA clients are easily available (and some of them free) from Google Play Store and they work fine. james, 23 Jun 2012The manufacturer is LAVA , Not Gigabyte !!!!! for proof : the real name of this phone is LAVA... moreThe phone is made by Gigabyte not Lava. The Lava Xolo is also made by Gigabyte. The Lenovo K800 (which is basically the same phone) it however made by Lenovo themselves but pretty much sticks to the same reference design. well its as i thought. this phone is very good. admitedly the camera is ok. just ok. the full HD video recording is awesome. again depending on light. low light bit iffy. probably will be amazing when the ICS update comes out. but overall a good phone with lots of potential. only niggle i have one too much orange bloatware. shame you cant uninstall all the crap you dont need. Well well well, what do we have here? Has san diego gone mobile? Oh come on now orange this is absolutley apalling. Your trying to combine the iphone and a samsung and naming it after a pet pig. Why don't you go back to the fruit market and stop trying to steal designs. Apart from that, big up the effort you must have put in.. to stealing peoples ideas. well this phone is made by gigabyte. is a great pc motherboard maker. so should be reliable. i want to get one. i have heard lots of mixed reviews. from good to awesome to shocking to bad. i will reserve judgement. and yes there is an ICS update, as ive been told by orange. cool. Where I can get it unlocked? james, 23 Jun 2012The manufacturer is LAVA , Not Gigabyte !!!!! for proof : the real name of this phone is LAVA... moreFor goodness sake people it's made by Gigabyte. Orange told me and reviews have said so. james, 23 Jun 2012The manufacturer is LAVA , Not Gigabyte !!!!! for proof : the real name of this phone is LAVA... moreThe manufacturer is not Lava. Both Orange San Diego and Lava Xolo 900 are based of Intel reference design manufactured by Gigabyte. Excellent hardware for the price.